This would be the swan song the Viper thoroughly deserves. 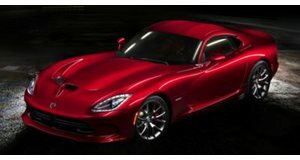 In just over a month, we’ll be waving goodbye to the Dodge Viper, one of America’s all-time greatest sports cars, when the production plant its doors for good at the end of August. But one passionate group of enthusiasts is refusing to let the fabled Viper bow out without a bang. After a successful crowdfunding campaign launched back in January surpassed its original $159,000 target, the Viper ACR has been brought back from the dead and unleashed onto the Nurburgring in the hope of reclaiming its lap record. Two Viper ACRs equipped with the Extreme aerodynamics package were recently loaned out by Viper Exchange and shipped to the Green Hell to attempt the record run. Taming the 645-hp beasts are two seasoned racing drivers, one of whom happens to be SRT factory driver Dominik Farnbacher, to give the Viper a fighting chance of setting a blistering lap. Trouble is, the bar has been set incredibly high since the Viper ACR set a production car lap record of seven minutes and 22.13 minutes around the Nordschleife back in 2011. Since then, that time has been beaten by the Porsche 918 Spyder and Lamborghini Huracan Performante, not to mention the McLaren P1 LM and Nio EP9. To set a new road-legal car record at the Green Hell, the Viper ACR would need to beat the P1 LM’s insane time of six minutes and 43.2 seconds. At the very least, it would need to beat the Huracan Performante’s time of six minutes and 52 seconds to become the new production car Nurburgring king. It may also have to contend with the potent Porsche 911 GT2 RS and Corvette ZR1 in the near future. While it seems unlikely, setting a new record time would give the Viper the swan song it deserves, but we’ll keep you posted. In the meantime, you can enjoy the sublime sound of the V10-powered Viper ACR storming the Nurburgring in the video above posted by Bridge To Granted.